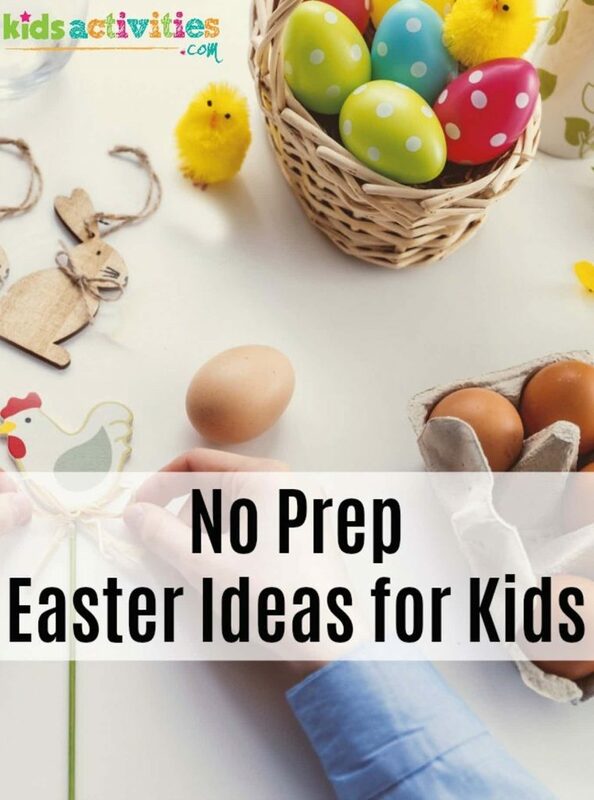 I wanted to share these free little to no prep Easter Activities for kids because spring Break comes so along so quickly and we rarely have time to plan for it. We’re busy, aren’t we? However, you know what they say: lack of planning is when the chaos begins. We took the planning away and gathered some great free Easter Printables for you & your family and today. I hope that you find some that you love! ?If your kids are starting to feel bored with the transition of winter to spring, it is time for some Easter crafts, printables & ideas. We love using Easter printables & ideas as the perfect family activity, because they are quick to start, require no planning and the kids love it. Print off a bunch of these printables & ideas on pieces of paper and keep them in a basket with your art supplies. Whenever your kids say, “I’m bored,” send them to the box to pick out a sheet or an idea to do! This is a simple way to celebrate through every day life. All kids love playing I Spy and this printable Easter I Spy game is the perfect boredom buster game. Color all the different Easter egg designs. Working on learning? Try these easy counting worksheets for preschoolers. Mazes are always fun, especially this Easter themed egg maze. Do your kids love to color? 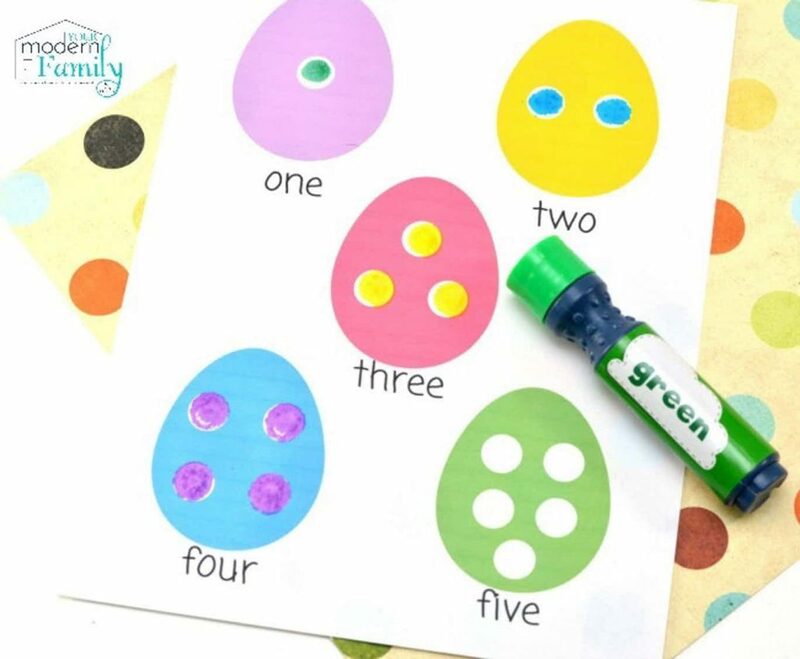 These color by number eggs are great for practicing numbers and colors. Try these Doodoodle Easter Worksheets – they are perfect for hand-eye coordination. Play Easter bingo as a family with a favorite family snack. Print a bunny connect the dot page for kids who are working on letters. 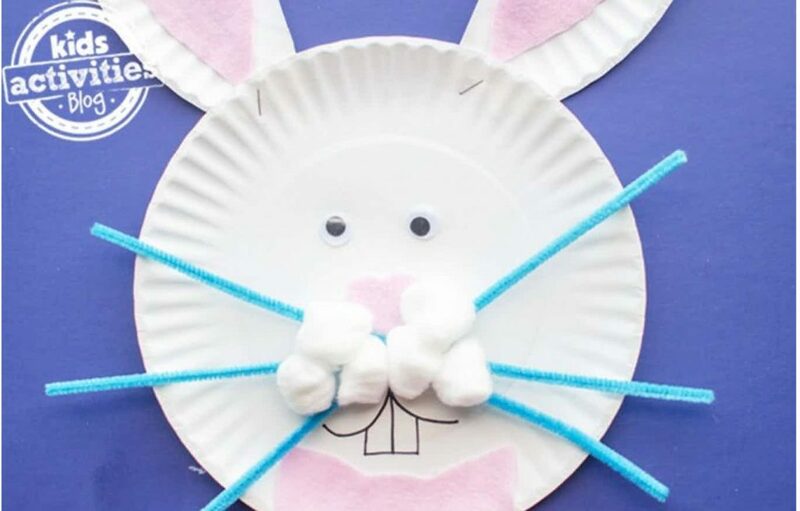 This Easter Paper Plate Bunny is the cutest. Your kids are going to love it. Want to paint but not all the mess? Try Q-tip painting with these Easter egg outlines. Trace the word and color the picture with these cute themed printables. You will have to prep this a little but Roll A Bunny is such a fun Easter printable to have on hand. Print off a few different Easter printables that focus on creating, coloring, and finding the difference. 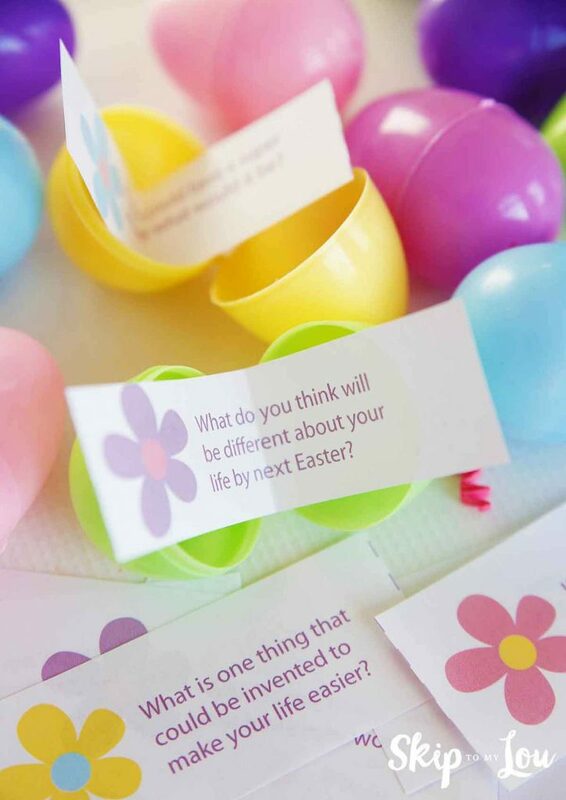 Print out these Easter Conversation starters – so cute! This Easter Garland is going to look adorable in your kitchen or over your fireplace! What are some of your favorite Easter activities for kids?